This volume of the light novels vindicates my hope that the series would improve after the preceding two volumes. The eighth volumes covers the first part of “The Town of Strife” story arc. Our heroes become plunged into a vortex of intrigue involving the church, pagan relics, a horn of immortality, rival guilds, and Eve, the femme fatale who almost cost Lawrence his life in addition to his money. 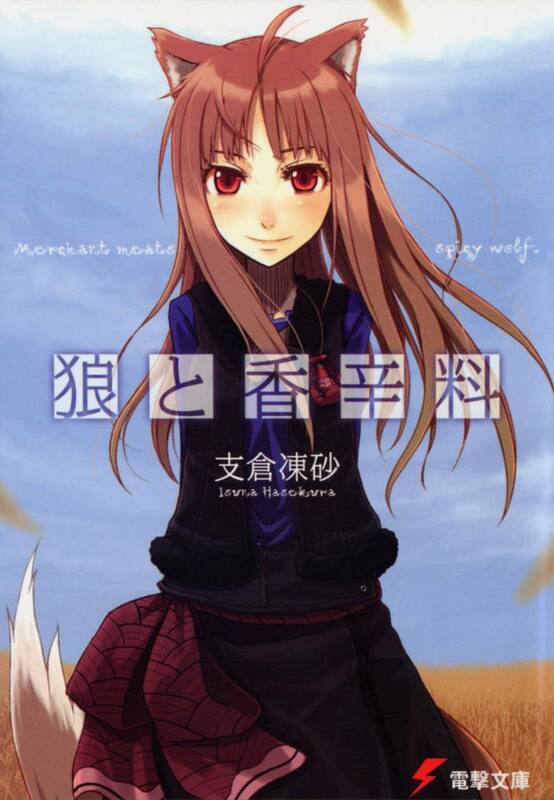 This novel manifests all the reasons people love Spice and Wolf, and I am looking forward to the next book and this story’s thrilling conclusion. Of note, the banter between Lawrence and Holo has lessened compared to the previous novels, and most of their conversations tend to be serious. This novel is the most plot-centered of the series thus far. Much of the dialogue is between Lawrence, Eve, and particular guild heads as he tries to work out a safe and profitable position for himself. I greatly enjoyed this focus on the plot, especially after the last two novels. But, don’t worry: Holo and Col still get plenty of print too. Ah, dear readers, I have a confession to make, which you’ve very likely guessed. Anyway, my hope to write several rough drafts over vacation came to nothing. Guilt for being far too idle is weighing on me, but I did accomplish some reading. Expect reviews of Jules Verne’s Adventures of Captain Hatteras and Candice Millard’s Destiny of the Republic soon. 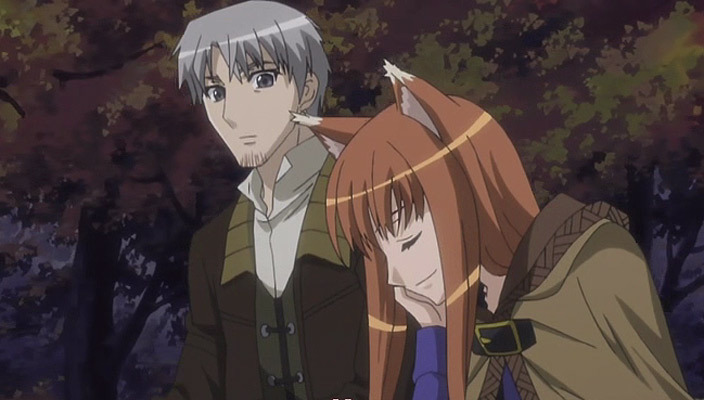 For now, please be content with my little endorsement for Spice and Wolf. I say endorsement rather than review because I tend to be the kind of reviewer C. S. Lewis referred to as a cheerleader. (Or was it G. K. Chesterton? By all means correct me if I’m wrong.) Basically, the reasons one should read something or those respects in which a work excelled interest me more than those in which it did not, and I do not wish to waste time excoriating anything–unless someone makes a request, anyway. That doesn’t mean I’ll completely pass over its negative aspects; otherwise, the review would be rather meaningless, and certain of my dear readers would feel that I convinced them to waste their time. But, you’re probably used to this proclivity of mine by now. 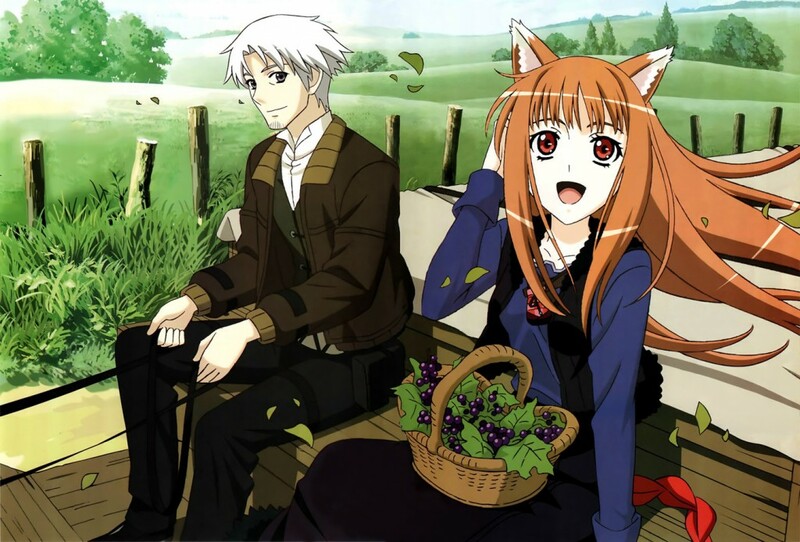 Anyway, most people know Spice and Wolf from watching the anime based on this series of light novels by Isuna Hasekura. 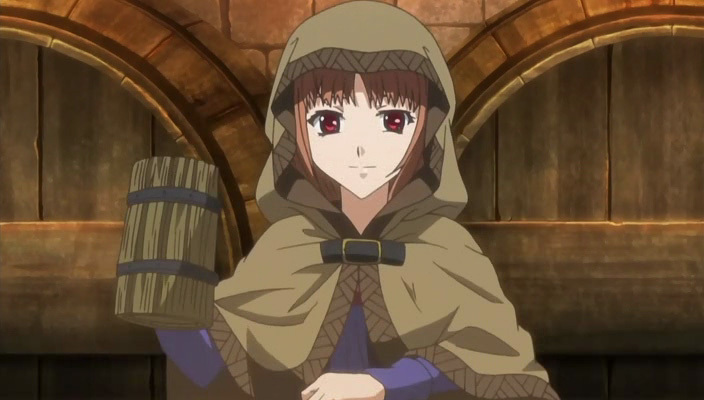 This series draws most people in by its unique plot, setting, and the ever amusing Holo, the Wisewolf of Yoitsu. Checking up on her ranking on Anime Planet, it seems that she’s only 82nd, which I find quite surprising. In the world of anime, which finds itself flooded with stock characters, she stands as truly unique–prompting the title of this post! Holo used to be worshiped by the people of the village of Pasloe as the Goddess of the Harvest until being replaced by the farmers’ preference to rely on recent agricultural technology. In this state of neglect, she meets a merchant named Craft Lawrence as she lies naked among his cargo of furs. (Don’t worry. Holo is often naked before and after transforming into a giant wolf and does not have human standards of modesty, but any eroticism here hardly goes beyond innuendo, which itself is few and far between: Lawrence possesses impeccable chastity.) 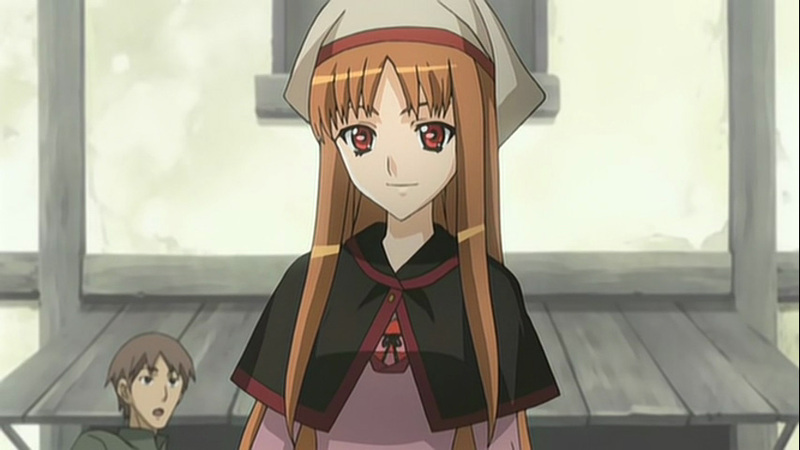 After convincing Lawrence of her identity, they make a deal for Lawrence to bring Holo to her fatherland–I mean, homeland!–Yoitsu (Germany in Japanese is Doitsu. Hasekura did not employ too much creativity in this name!) in exchange for her helping him with his business and Holo paying off any debts incurred by her overindulgence in good food, beer, wine, brandy, etc. and the clothing he has to buy for her, though Holo never has more than two outfits at a time. However, Lawrence gets somewhat more than he bargained for in his companion. Lawrence, always being alone on the road, had also been suffering from loneliness. Holo completely alleviates this feeling and is often very astute when it comes to business negotiations, giving Lawrence unexpected windfalls. The price for all this is constantly being teased by Holo and often having to placate her wrath for all sins of omission or commission against Holo’s delicate sensibilities. The enjoyable banter, conversation, and all sorts of verbal traps stand as one of the most enjoyable features of the work. Hasekura does have to take care lest he overdo the precious nature of some of the dialogue, though, lest it become repetitive, and Lawrence needs to come out the victor once in a while for a change of pace. I have read up to volume four; though Lawrence achieved much glory for fabricating the method for the good guys to win in this volume, he completely lost all his verbal jousts with Holo. The setting approximates the High Middle Ages, except that paganism is more widespread and the Church is not precisely Christian or Catholic, except that volume four mentions a “Holy Mother” without giving any explanation for why such a figure exists in the monotheistic religion most prominent in the southern part of these lands. This church is described as being rather worldly, but the criticisms of this Church and monotheism in general are not overwhelming bitter. The ecclesiastical structure of this religion is closely based on the Catholic Church, but very seldom is the theology detailed. The fact that Holo is a former goddess means that Lawrence and Holo need to be wary of Church authority and keep Holo’s identity a secret. 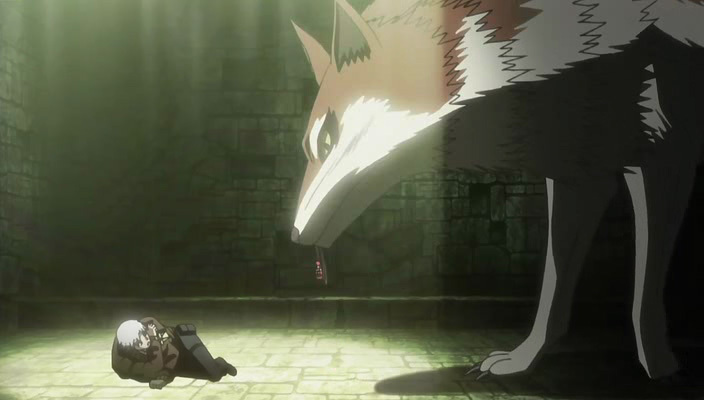 This causes several problems for Lawrence and Holo in the first two volumes, but this pair’s cleverness and Holo’s trump card, the ability to morph into a giant wolf, brings them victory. So, very many people find this series, either the anime or the light novels, unique and entertaining. The only drawback will be for those who like hard-hitting action. Our protagonists only resort to this as a last resort, so this series is not for those looking for good fights. The battles can bring the audience to the edge of their seats, but are mostly mental and include intricate details about currency, contracts, merchant protocol, and Church politics. Yet, losing any of these battles can result in imprisonment, death, or loss of livelihood for our duo of travelers. So, please give this series a try: if you enjoy the voice talents of Ami Koshimizu or Brina Palencia and others in the cast and want to view those scenes with action rather than read them, watch the anime. (Ami Koshimizu has a more mischievous, cute take on Holo’s character, while Brina Palencia’s is more seductive and mature. Both did an excellent job.) But if you want to know all the intricacies of the scheming, laws, culture, and characters’ thought processes as well as learn about the stories not covered in the anime’s meager two seasons, the light novels are for you. Or, one can peruse both. Enjoy!